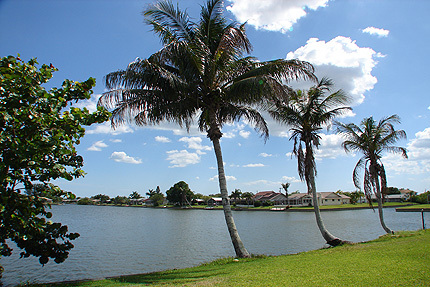 The secret to the good life - close to everything but away from it all. The Lake House provides the perfect sanctuary where you'll find a balance of quality and convenience in an Intimate natural setting. 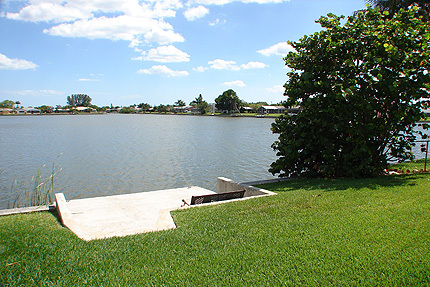 Spending time here refreshes the Imagination and brings life back within reach. 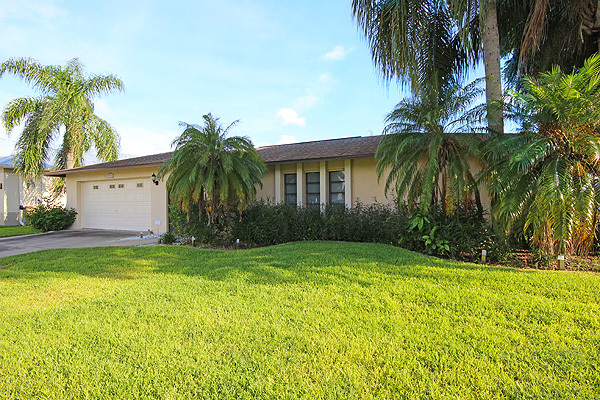 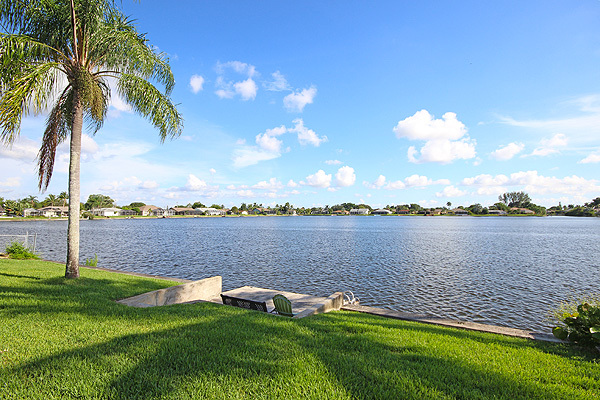 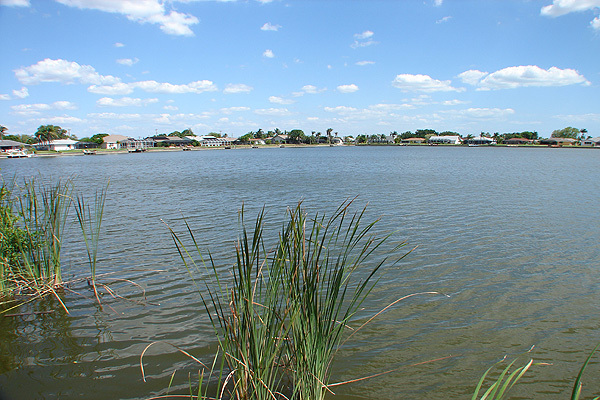 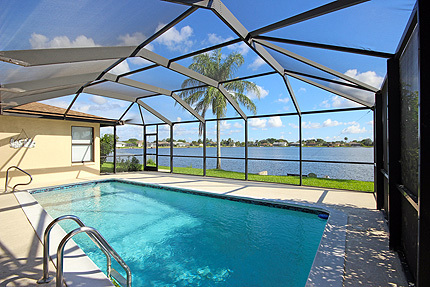 You will feel relaxed and instantly “at home” in this delightful waterside home, The Lake House is ideally suited to the relaxed Florida lifestyle. 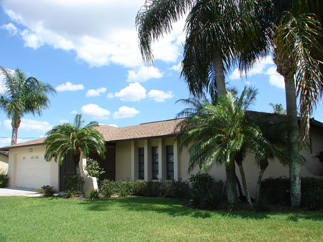 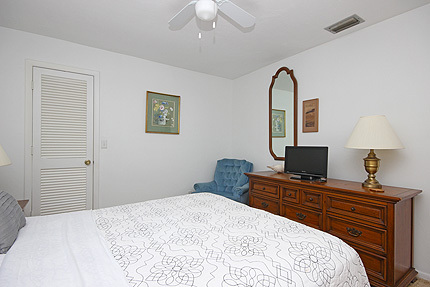 Fully air-conditioned throughout and enjoying the additional benefit of cooling overhead ceiling fans in all rooms, the friendly “Florida atmosphere” begins immediately you step through the door. 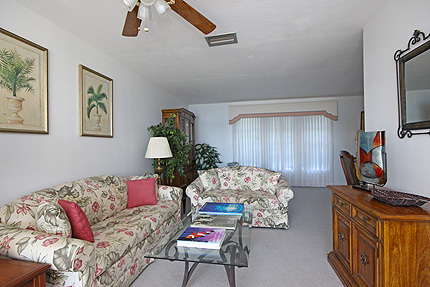 The central family room offers stylish Italian tiled floors, light pastel colors and a modern contemporary décor including wide-screen TV, DVD, wireless Internet (with printer), relaxing twin sofas and direct access to the outdoor sundeck and pool. 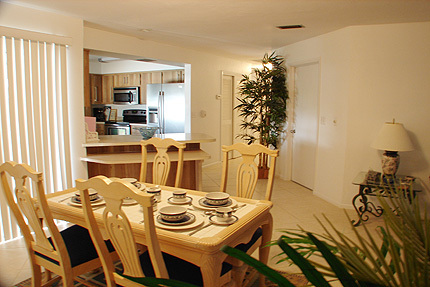 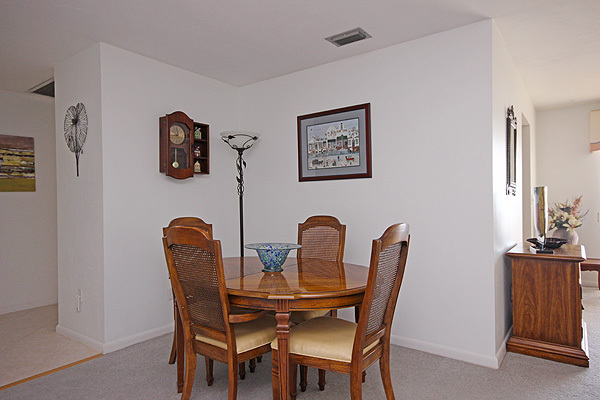 Conveniently located between the kitchen and family retreat is an attractive formal dining area, ideal for that special celebration dinner or romantic evening in. 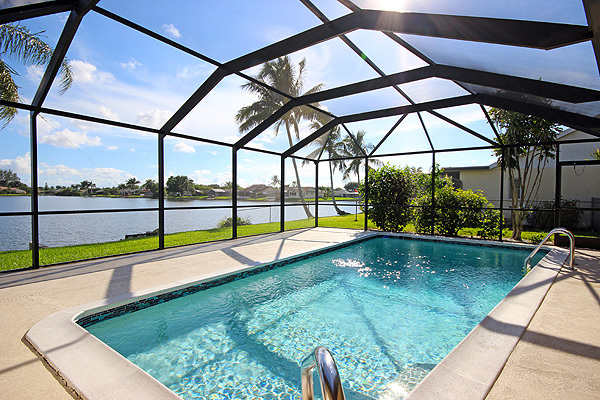 The separate family retreat has a relaxed casual elegance offering a haven for quiet relaxation, for entertaining, for finishing that book you always meant to read, for listening to music (CD & audio system) or just to enjoy watching the wildlife and beautiful views across the water. 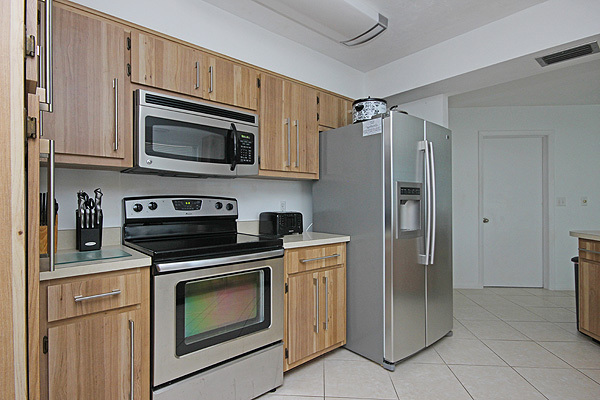 The well-appointed kitchen features stainless steel appliances, electric stove, microwave oven, dishwasher and refrigerator. 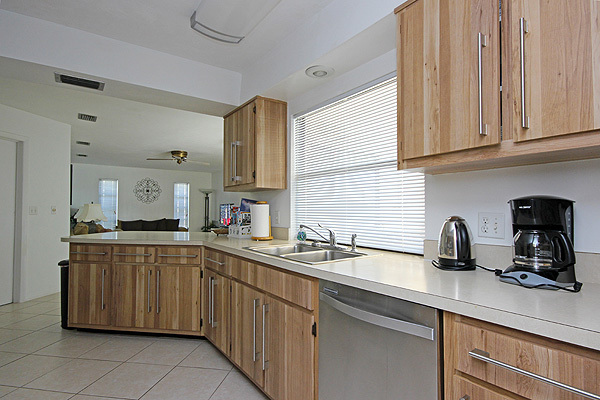 The kitchen area is extensively equipped for six people with coffee/tea making facilities, all modern utensils and ample storage cabinets. A breakfast bar and separate dining table overlooking the pool area has seating for six people. A family washer and dryer is located adjacent to the kitchen. 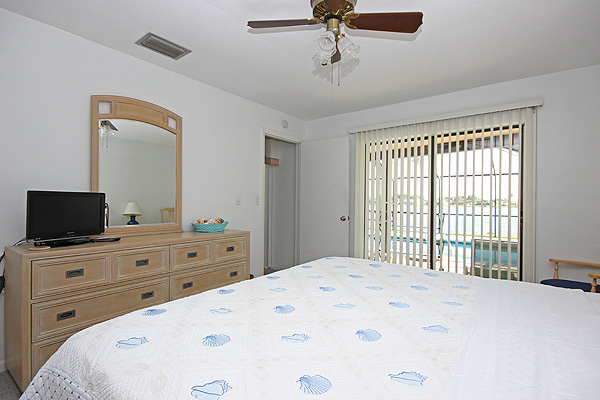 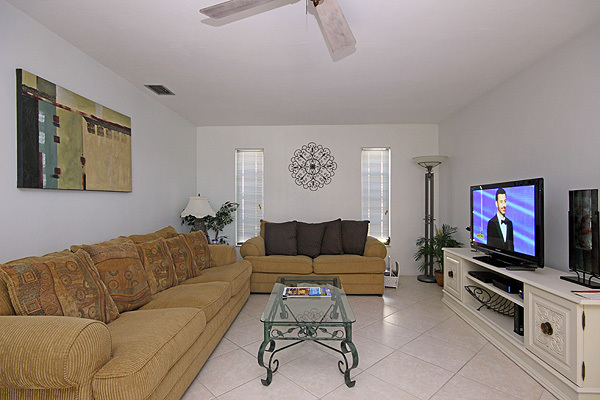 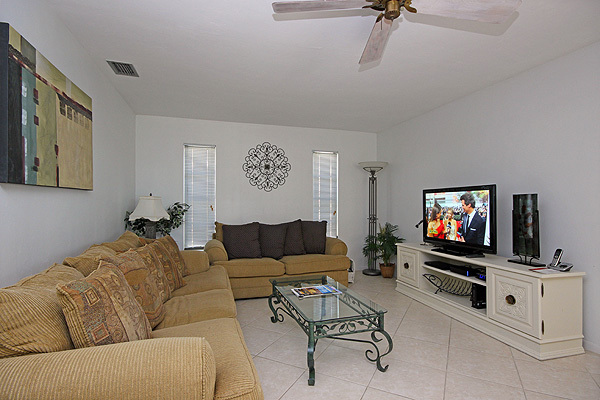 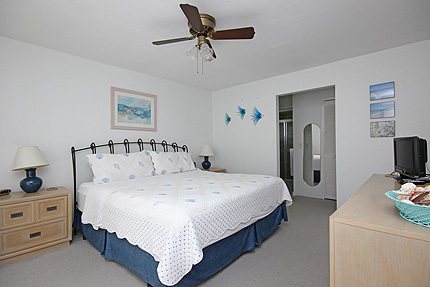 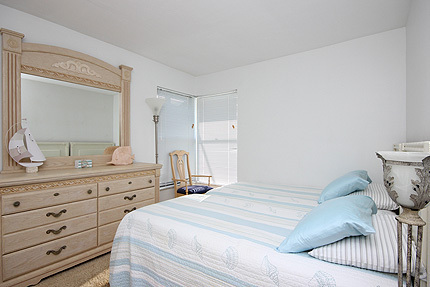 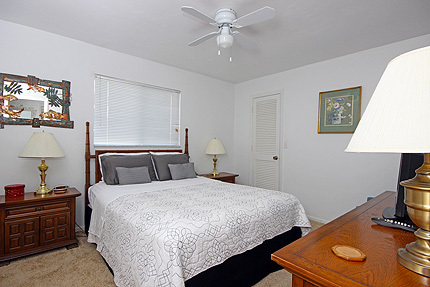 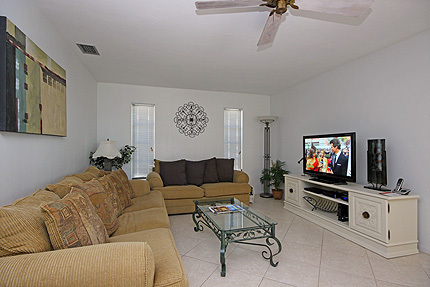 Master bedroom suite features king-size bed walk-in closet, overhead ceiling fans and TV. 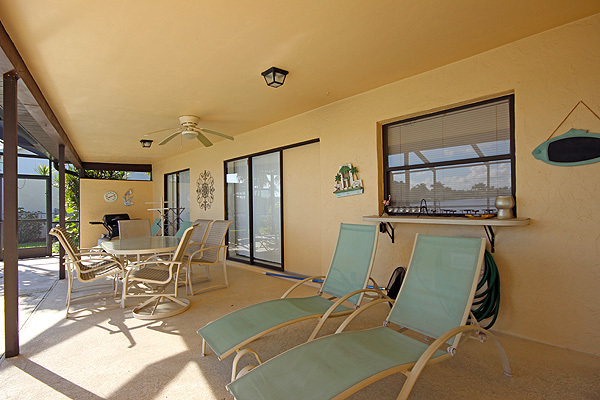 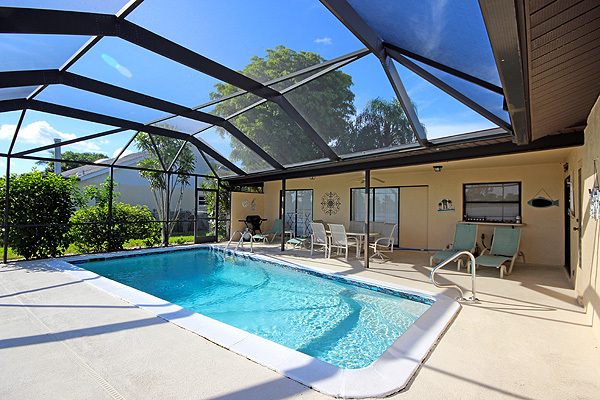 Sliding doors have direct access to the pool & sundeck with views across the waterway. 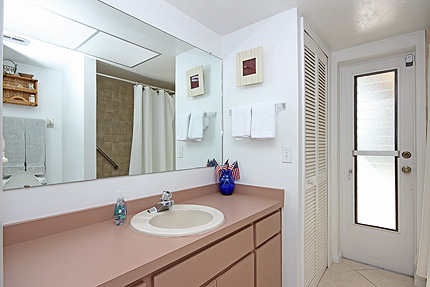 The en-suite bathroom has a fully tiled walk-in shower, single vanity unit and toilet. 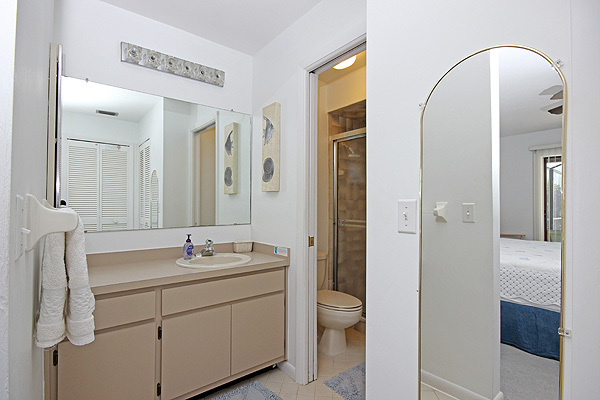 Over-bath shower, single vanity and toilet – this bathroom can also be accessed directly from the pool deck.